It takes a full-time Home Inspector hundreds of inspections to develop the eyes, ears and nose for hunting down problems. Part-time inspectors simply do not have the proper time in the field to develop that radar. Be sure to ask how many inspections he/she performs annually and for how many years. A quality Home Inspector does at least 200 to 300 inspections annually! Conducting 200 to 300 inspections each year requires extensive referrals by prior clients, lenders, real estate agents and others – so there is a much greater chance the inspector is Not Blind. 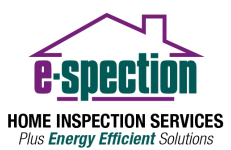 E-Spection conducts 600-1,000 inspections annually and has done so for over 12 years. The company that offers the cheapest price is generally showing you a couple of things; (1) they are new or part-time and (2) they really do not know their costs (they will not be in business very long). If you want a thorough Home Inspection of what most likely will be the largest purchase of your life, you will want an experienced Home Inspection Company on your side. Hiring a Home Inspection Company that has been performing home inspections for years and understands that they are working for you and no one else is critical. Making sure that you, the buyer, understands the condition of your new property is our first priority. E-Spection’ inspectors have attended one of the two top home inspection schools in the country, completing more than 120 hours of course work and classroom training. In addition, each inspector spends a minimum of 70 inspections training under the owner of the company, insuring consistency and completeness of the inspection process and reporting. Our quality control process is stringent as the Owner of the company reviews every inspection report. Our inspectors are all members of inter NACHI and complete over 20 hours of continuing education annually. Owner and Founder, Tony Burk, does not allow the inspector to perform inspections on their own until he is beyond satisfied with the inspector’s level of training, knowledge and experience. Buying a home is an extraordinary investment. So why would you want merely an ordinary inspection? Some home inspectors think they are high tech if they have a flashlight and a screwdriver, much less having a moisture meter or a CO gas detector. There is no reason to wonder if you’re getting the best inspection if the inspector is using cutting-edge technologies — such as Infrared Thermographic Scanning. Accutech Home Inspections was the first company in Long Island to use Infrared over 9 years ago. New technology such as these will uncover “hidden” signs of damage and potential problems that might otherwise go undetected in an “ordinary” inspection. The top home inspectors in today’s business don’t produce handwritten reports. A professional inspector will provide at least a 40+ page combination checklist/narrative report and not some little 10-15 pages that you can’t read because he writes like your doctor. You should also demand that you receive the same electronic copy of the report by email since you’re sure to lose the paper report during the move. And how about an electronic Summary Report with digital photographs so you can ensure that the HVAC or electrician knows exactly where the issue is before they arrive. You should want the report to be written in plain English, not some “Techno Jargon”- speak that only the home inspector can understand. The report should not contain a repair estimate or action plans for repairs. Professional home inspectors inspect — they don’t repair! An inspector that makes repairs should always be avoided due to the conflict of interest inherent in that situation. All national home inspection associations forbid this lack of integrity and objectivity. Is the inspection company locally owned and operated or are they some far away “faceless corporation” where no one is monitoring and evaluating the quality of their work? How long has the inspection company been in business? Does the inspection company have dedicated employees performing Home Inspections? Does the Company have a Customer Service Department? Will you be able to call your inspector for follow-up questions and assistance after your Home Inspection? E-Spection is locally owned and operated. Ernesto Malanga founded the company in 2004 and has brought on staff, over the years, to meet the demands of the growing company. Our staff is dedicated, friendly and responsive. We understand the demands of “The Real Estate Contract” and the time sensitivity involved. Our inspectors return every call the SAME DAY! Even if it is in the evening. We are always available to answer any questions. Quality Professional Home Inspectors request feedback from their clients. Professional Inspectors want to know what they are doing right, as well as what might need improvement, because you can’t improve what you don’t measure. If the inspector can’t or won’t provide client referrals, he might be blind in more ways than one! E-Spection’ clients gladly provide their feedback and we are happy to share them with you. Take a look at what our clients are saying on our Reviews Page. Long Island Area, Give Us A Call Today (516) 334-4663)! Your Premier Long Island Home Inspection Company | Let this experienced home inspector help keep you from buying The Money Pit. We’ll alert you to any and all health or safety issues and maintenance needs of the home you’re looking to buy. Long Island Home Inspection Services will be your home buying or selling advocate! We are committed to providing you with outstanding service. We’re highly experienced and extremely thorough. If you’re looking to buy or sell in the Dayton City area, we can help! Owned and operated by home inspector and mold inspection specialist, E-Spection, Ernesto Malanga prides himself in being committed to following high standards and providing professional service to all of our customers.